Our units are Kenworth truck mounted with reel capacities up to 16,500’ of 9/16” sandline. 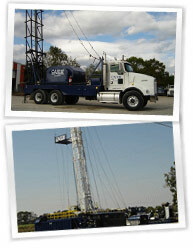 Each has a 60’ full sized derrick that can also be used as a mast for wire-lining. 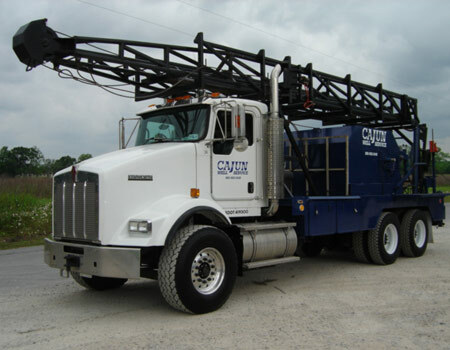 Each can be driven on approved vessels for working or transportation purposes. Portable 140 barrel fiberglass swab tanks are available for rent.